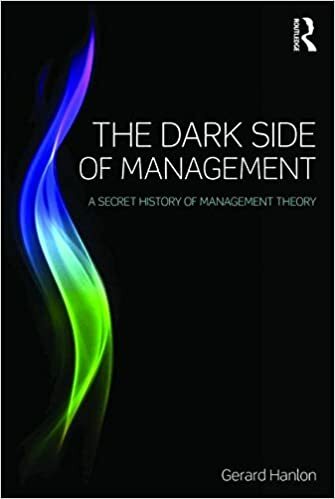 Just a quick update: my short review of Gerard Hanlon’s ‘The Dark Side of Management: A Secret History of Management Theory’ newly published in Times Higher Education. Hanlon wants us to rethink the old Frederick Taylor bad/Elton Mayo good divide. Taylor, of course, invented scientific management and worked to increase the efficiency of production by cheapening labour as much as possible, taking the need for skill or judgement from the workers and passing it to a new class of managers. Mayo, on the other hand, is often seen as being on the workers’ side, his interviews and coaching designed to help people identify with their job and become happier in it. For Hanlon, scientific management and the Mayo’s new human relations movement are just two sides of the same coin: it’s all about making more money for capital. The historical material in Hanlon’s book is interesting enough (though Harry Braverman’s seminal 1974 account of Taylorism as the bedrock of the labour process is strangely absent). But I think there are some more compelling stories about exploitation in the twenty-first century begging to be told. Well, here’s the review if you’re interested. 21 February: Article scan available here OHanlon THE 030115.